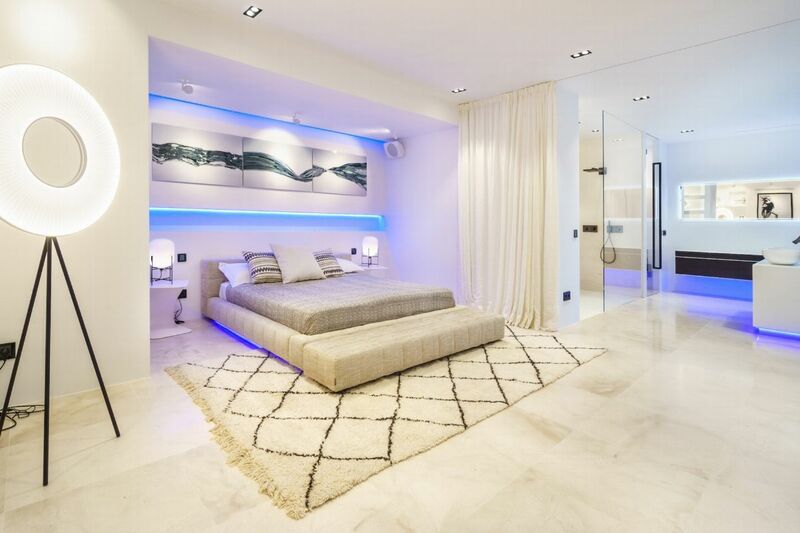 Cleaning 8 hours per day 7 days per week. 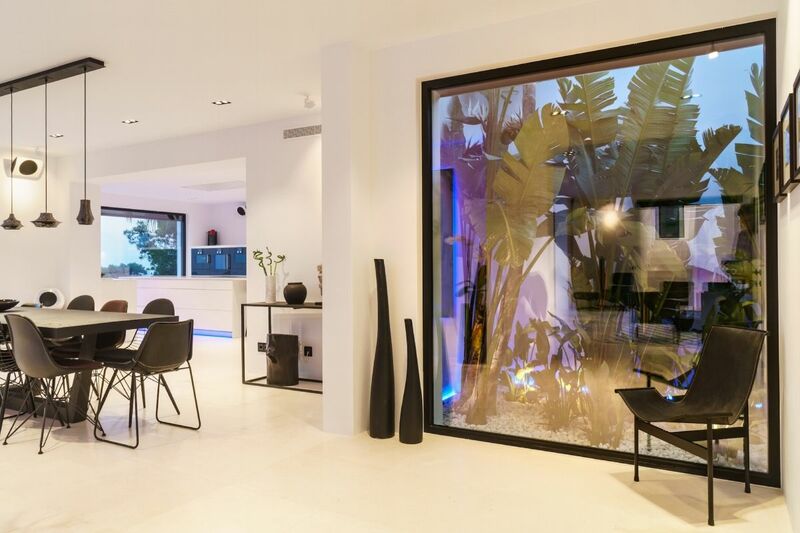 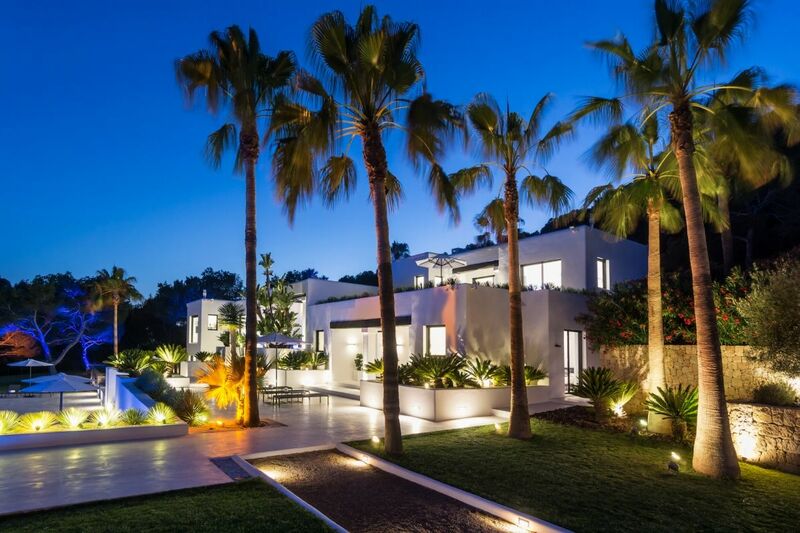 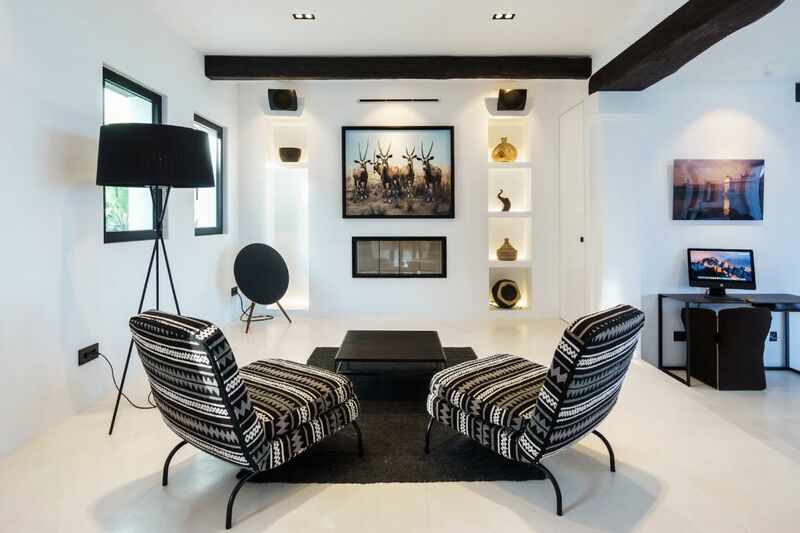 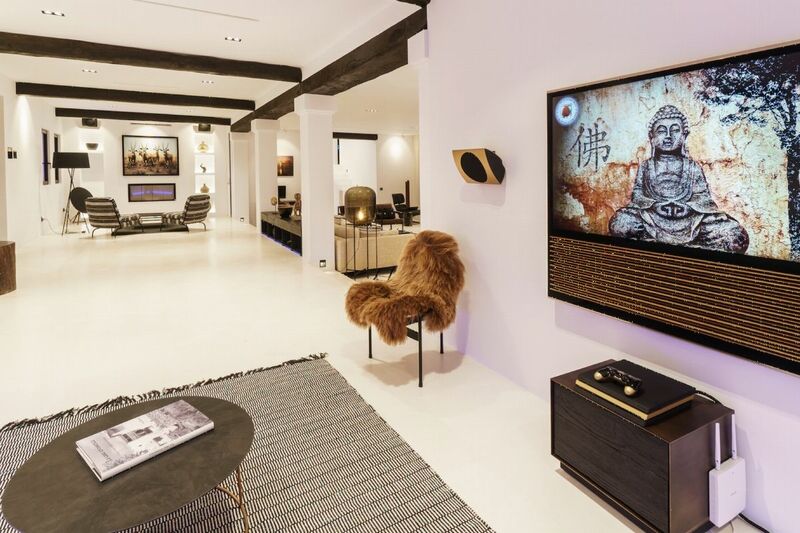 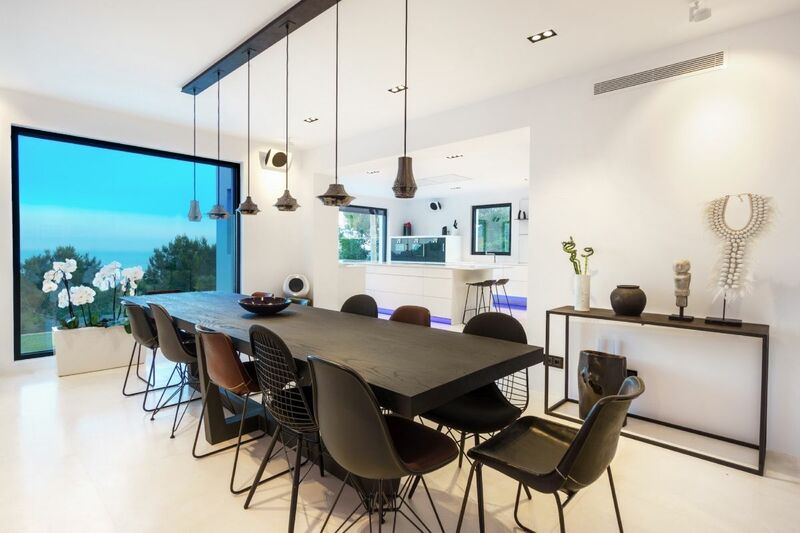 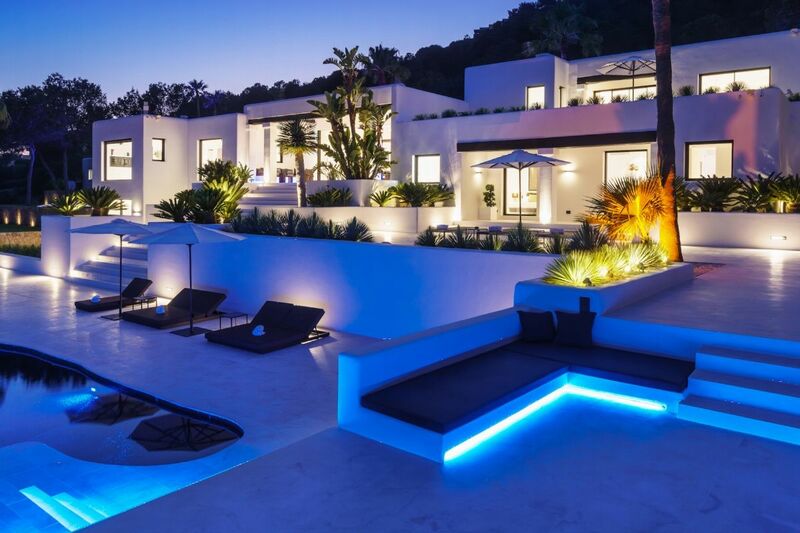 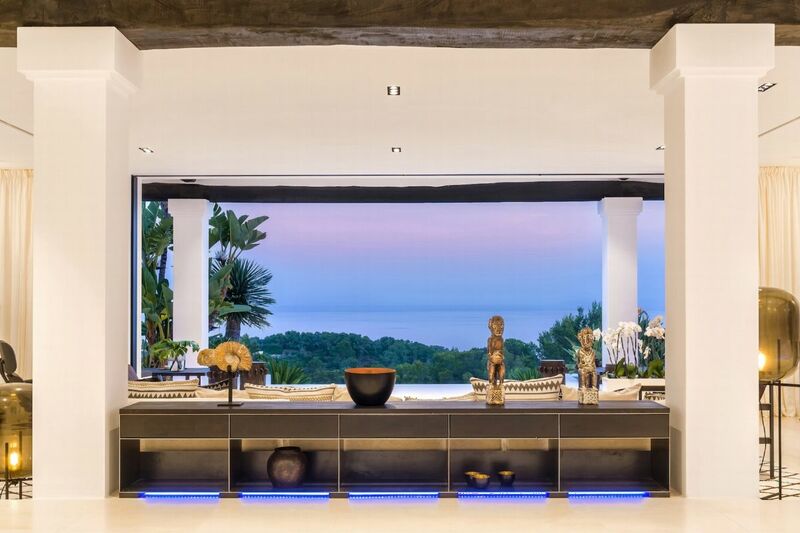 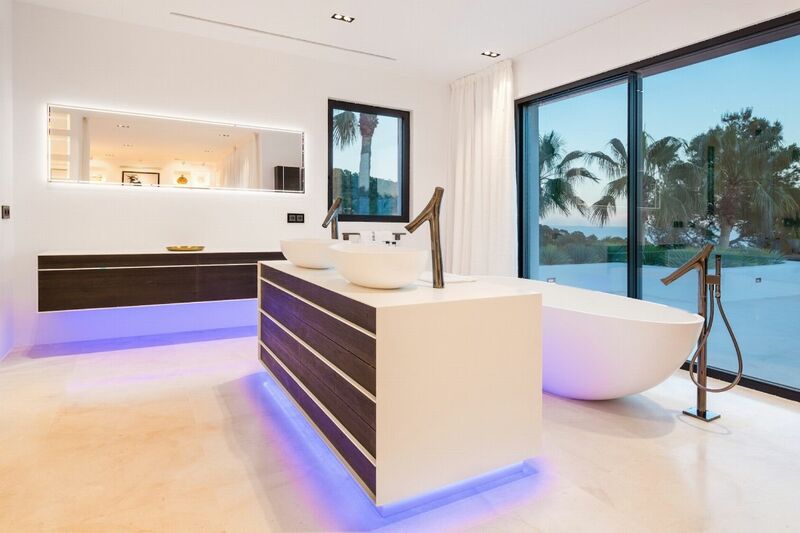 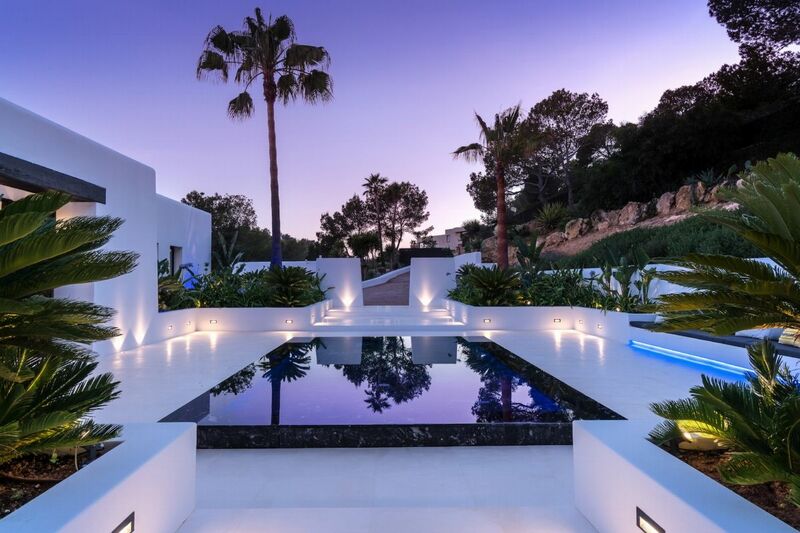 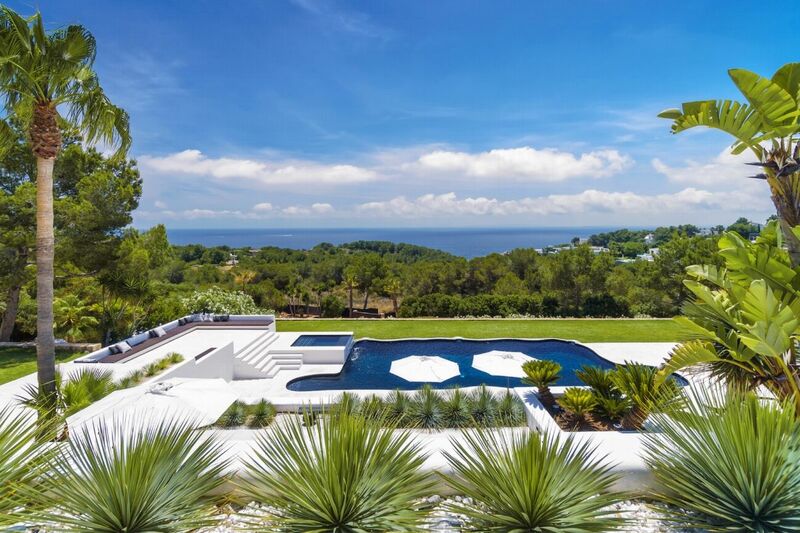 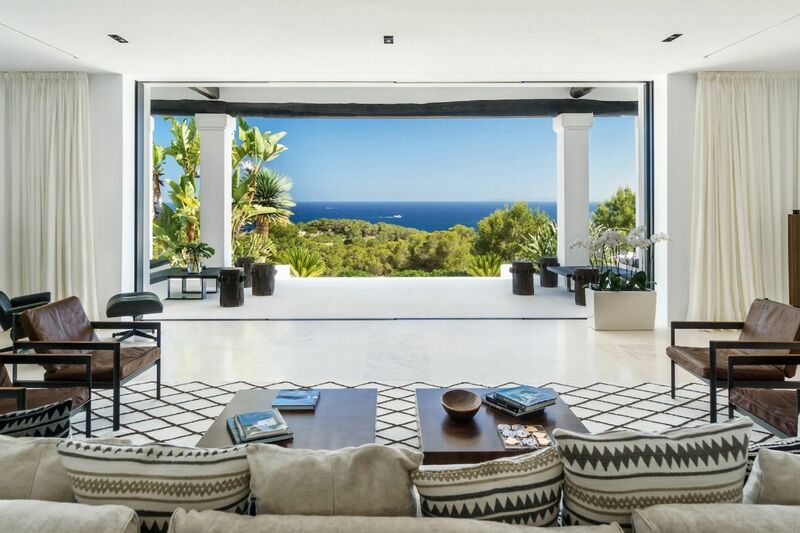 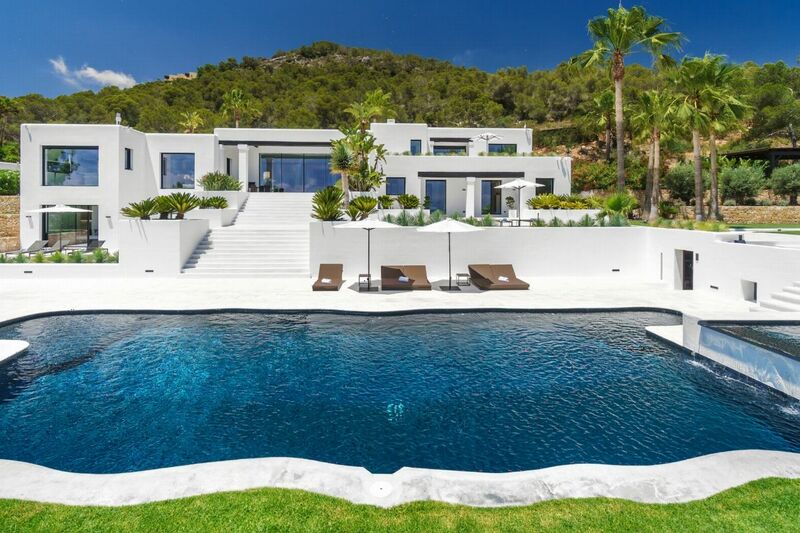 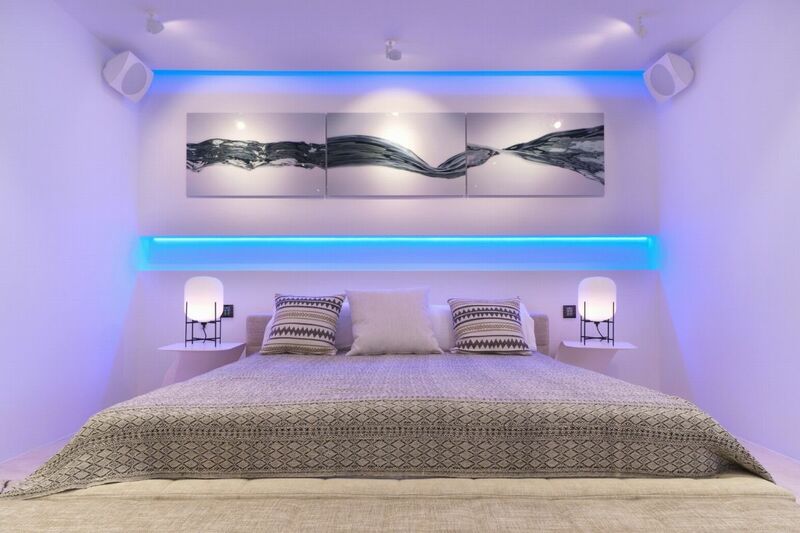 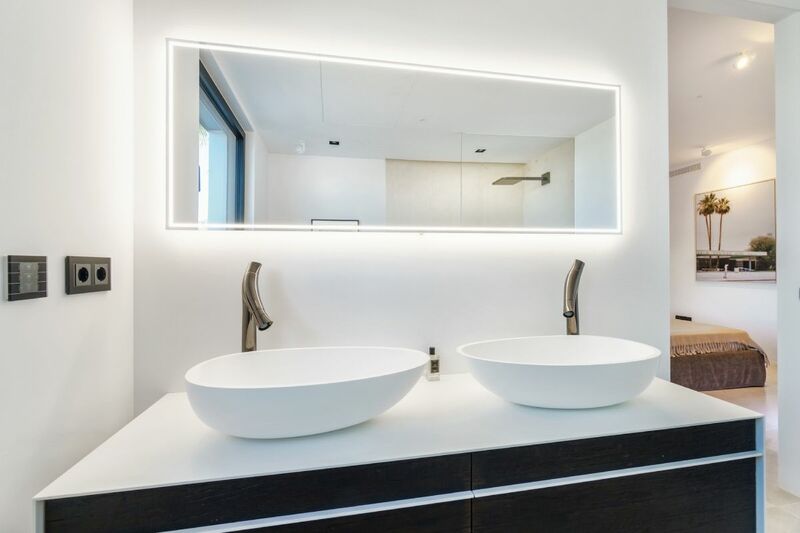 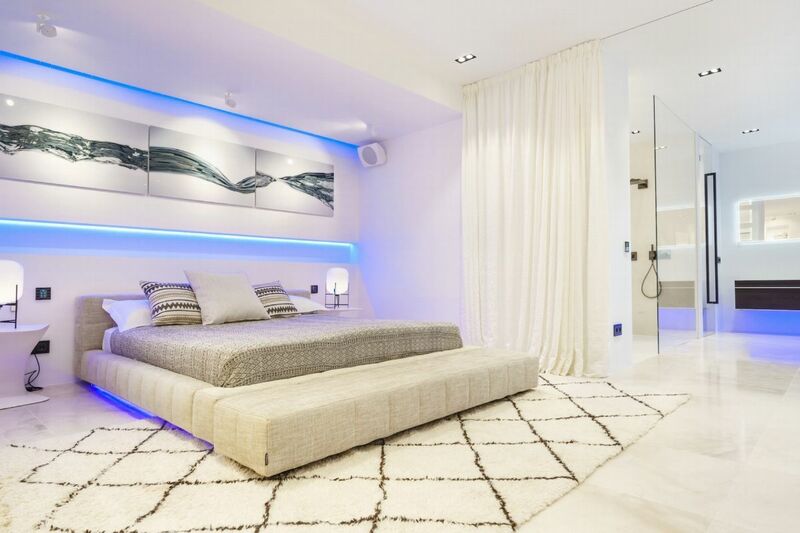 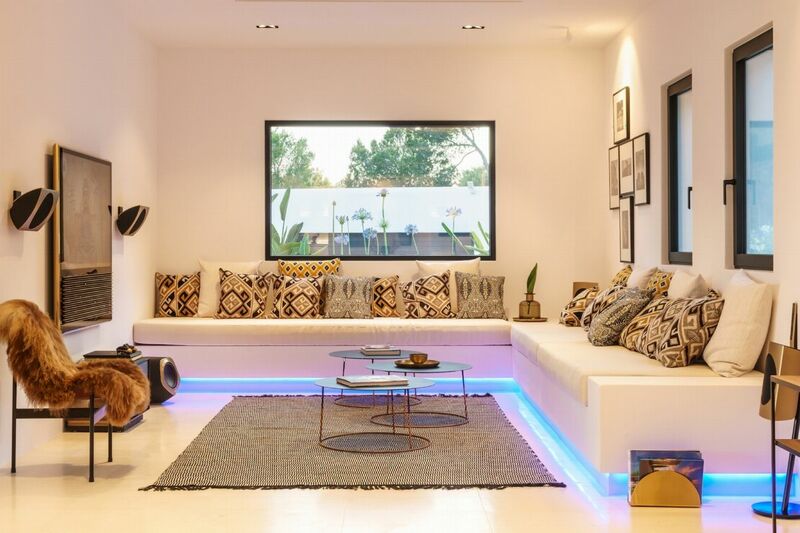 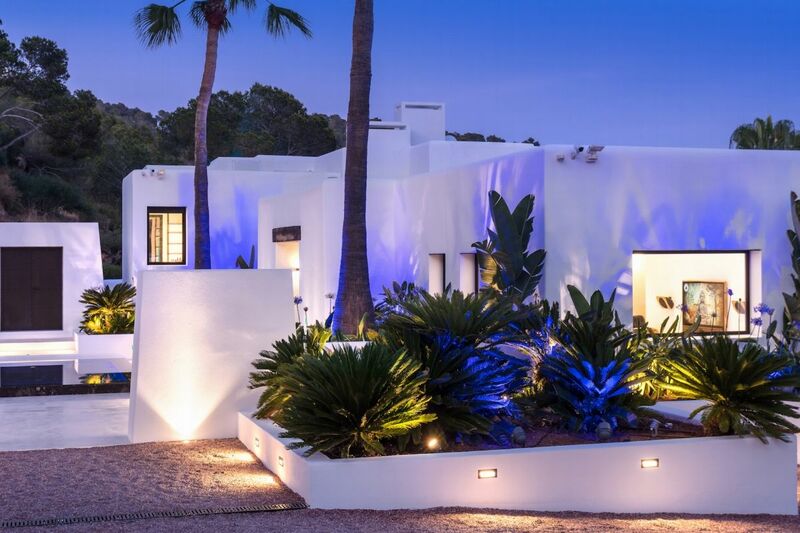 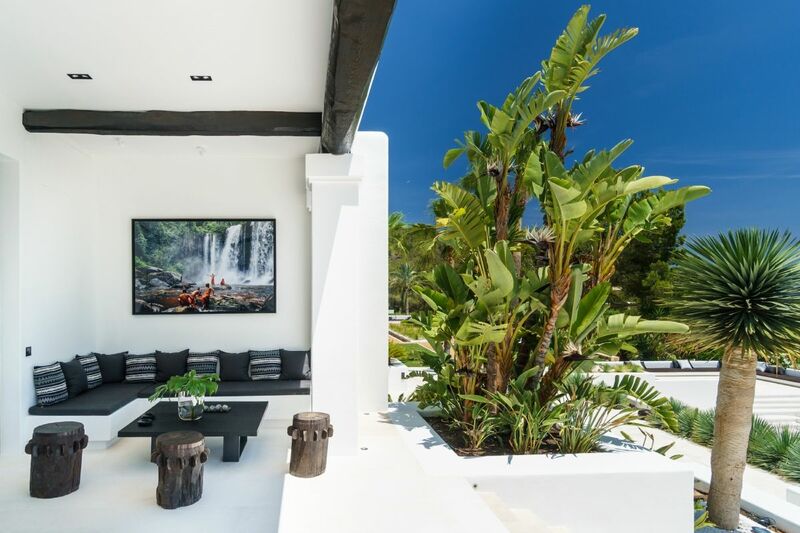 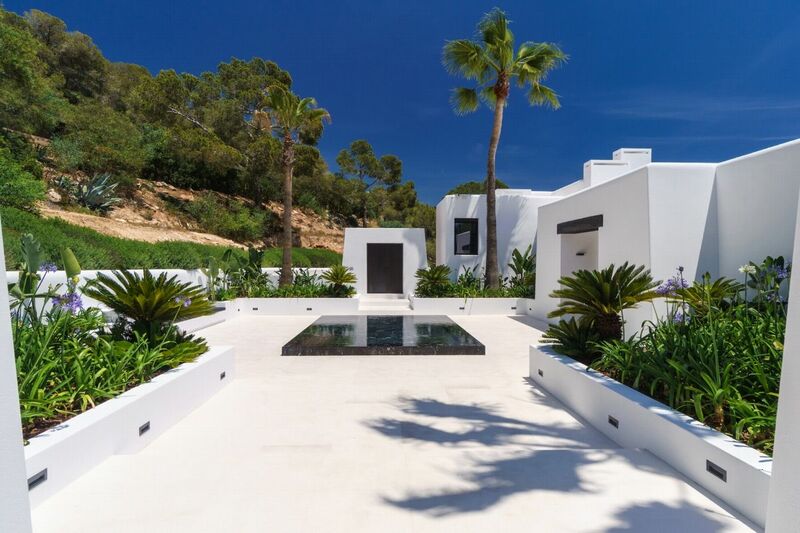 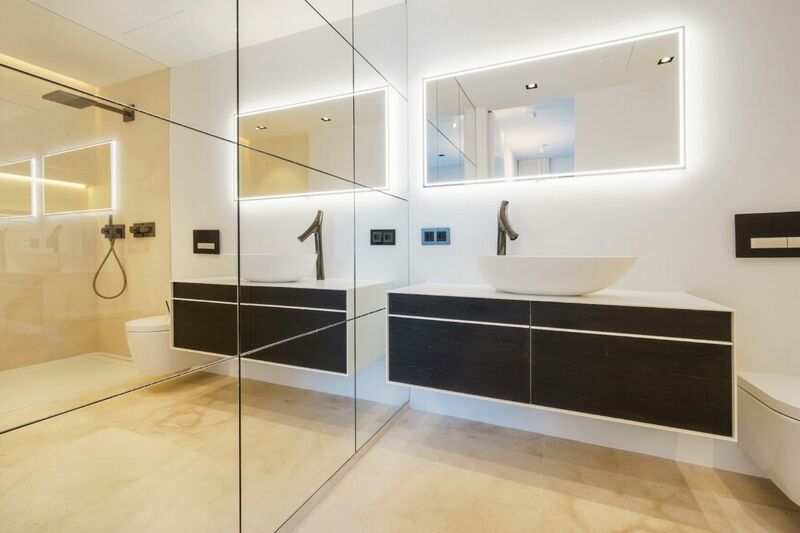 In the prestigious neighbourhood of Cap Martinet, this outstanding contemporary property hides amongst tree-clad hills overlooking Ibizaâ€™s old town. 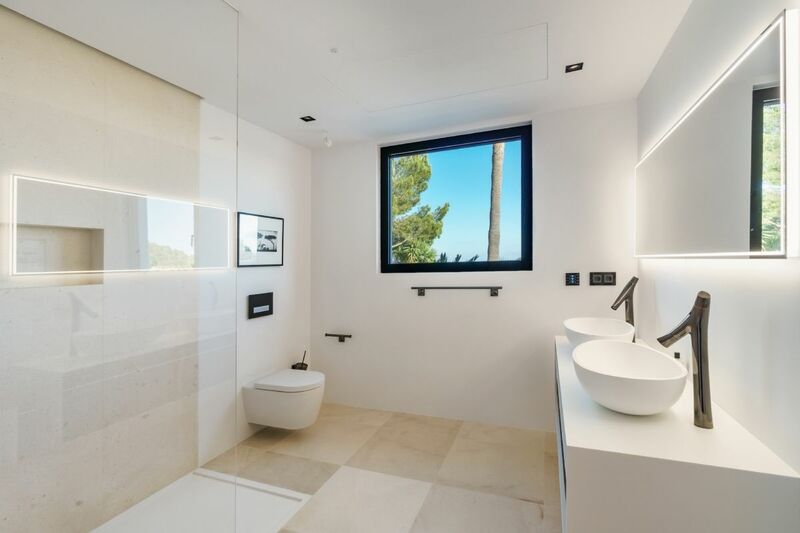 The views to Dalt Vila, with the blue Balearic waters shimmering in the distance, are breath-taking. 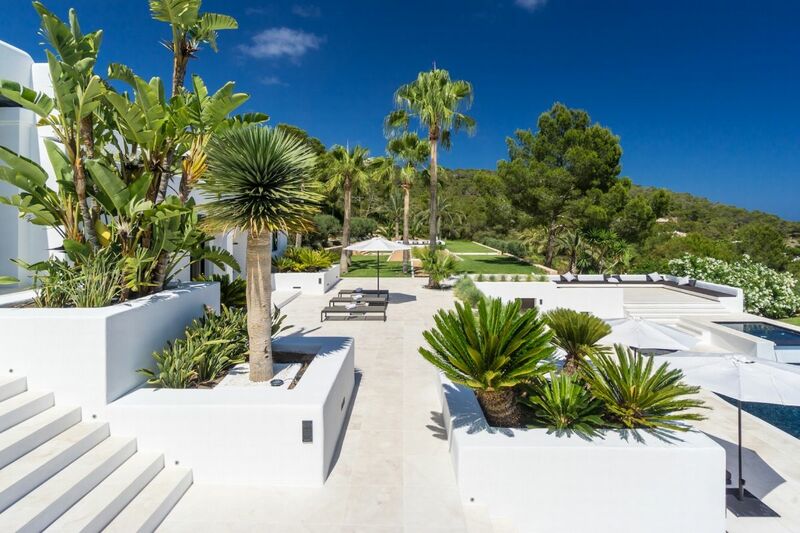 Palm-filled private gardens imbue a secluded, retreat-like feel to Villa Annaâ€™s secure, private plot. 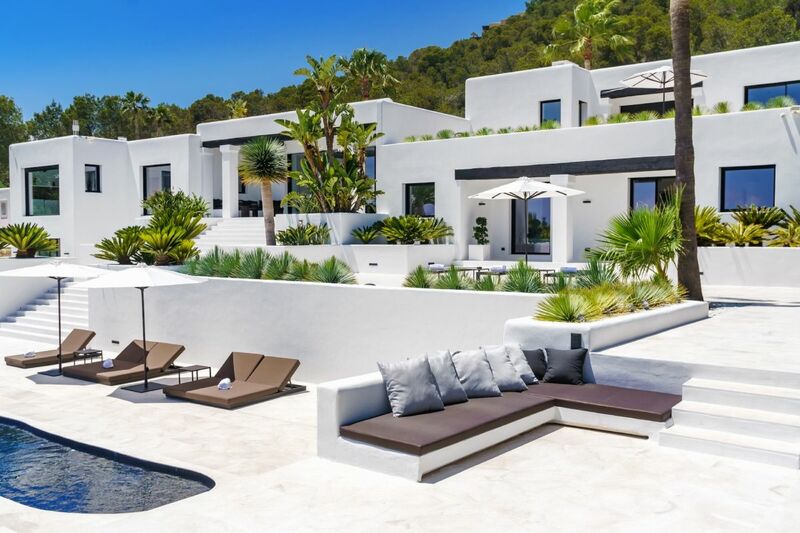 It feels a million miles from the hustle and bustle of Ibiza Town, yet is close enough to indulge whenever your heart desires. 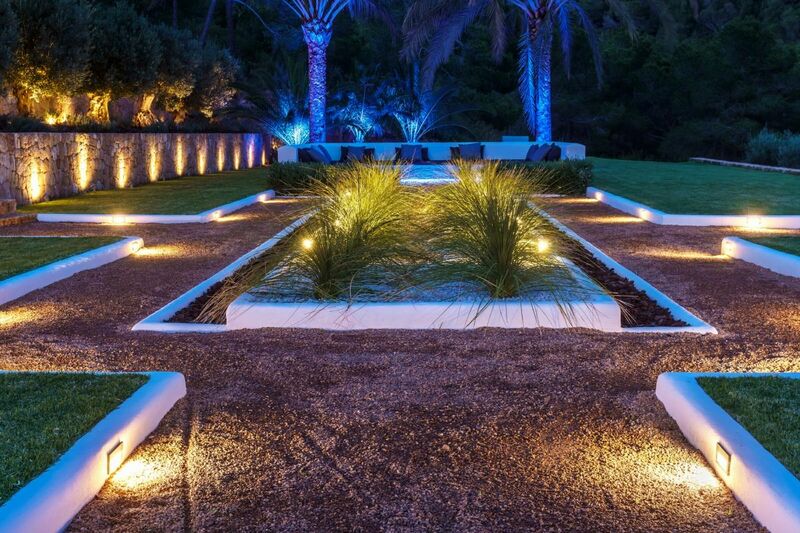 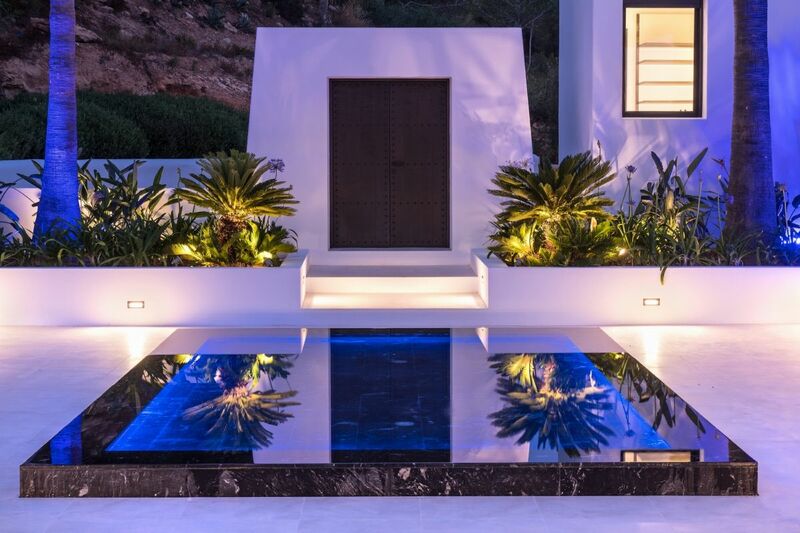 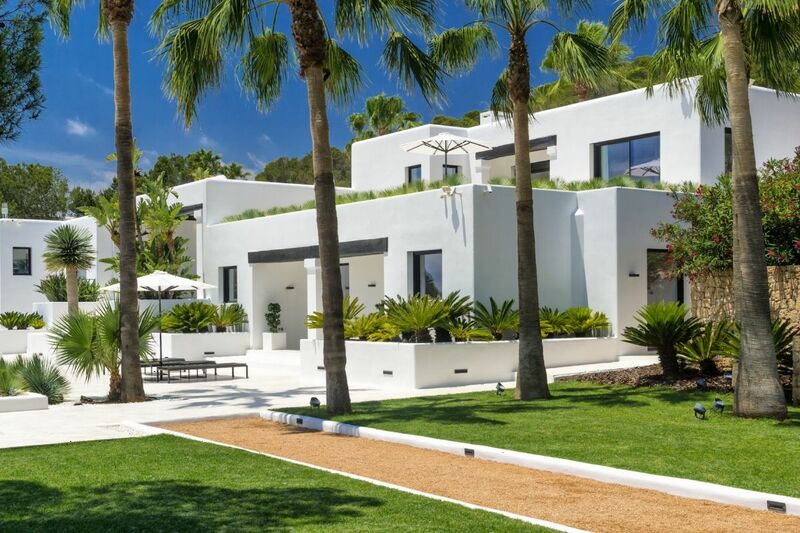 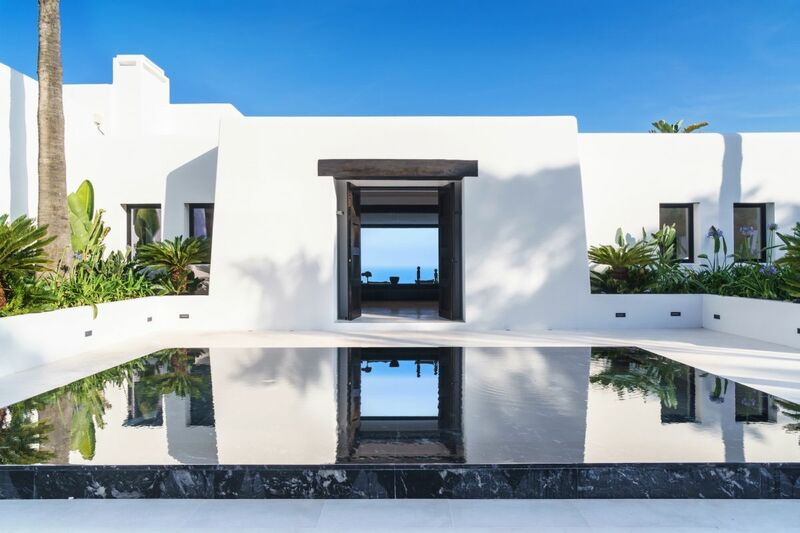 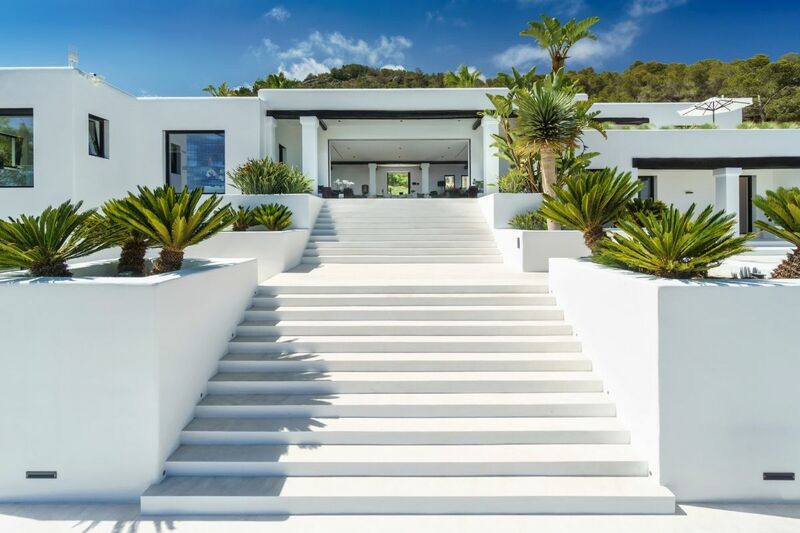 Beautiful formal gardens, with tall pines, tropical planting, neat lawns and the broad white rendered steps that link the house, terrace and sparkling pool are a serene backdrop to this beautiful Ibizan holiday home. 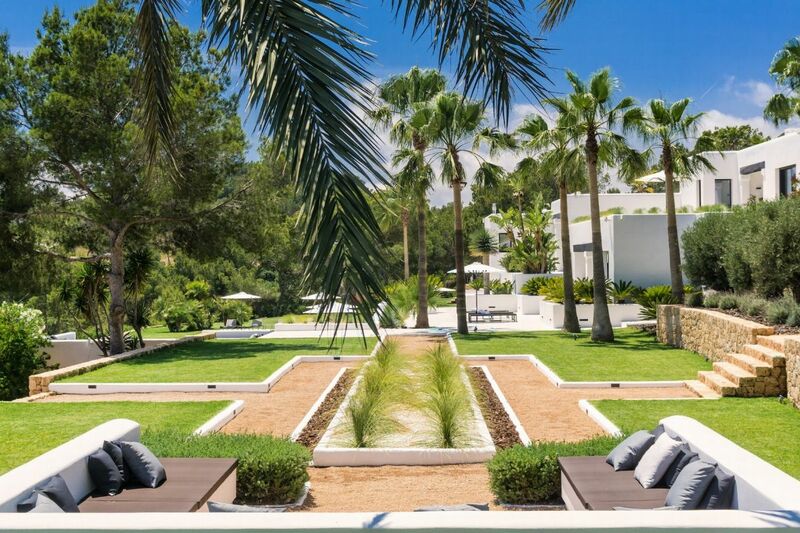 Soak up some Ibizan sunshine on a lounger by the large pool as you revel in the sparkling sea views. 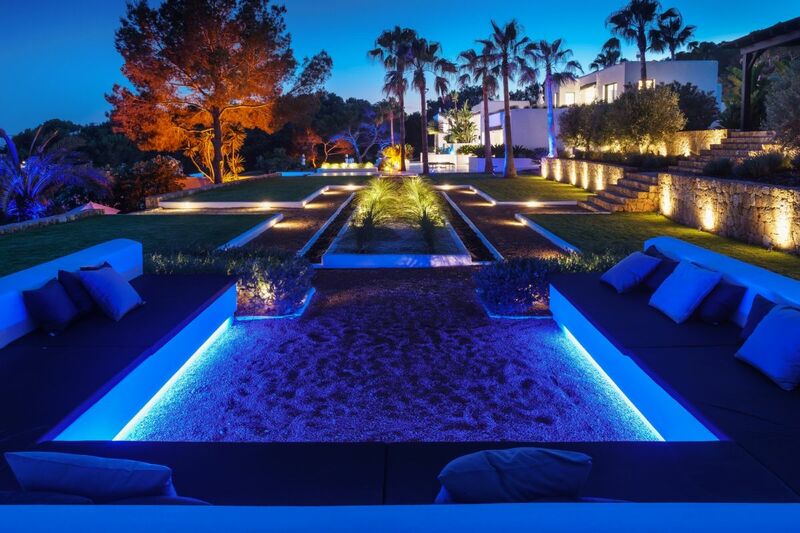 Or choose one of three garden chill-out areas â€“ by day, peaceful places to enjoy the sunshine and, by night, sophisticated chill-out spaces under the stars. 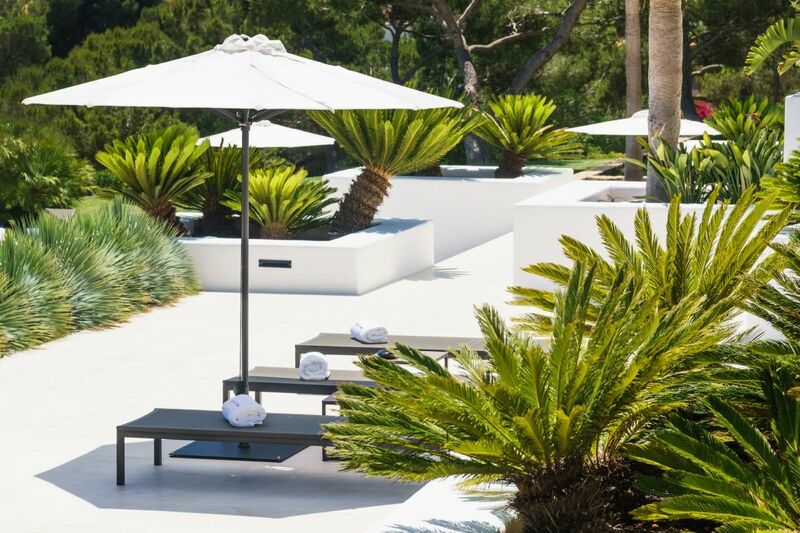 The Bang Olufsen music system serves four indoor and three outdoor zones, so you can accompany your moonlight garden socialising with the perfect beats. 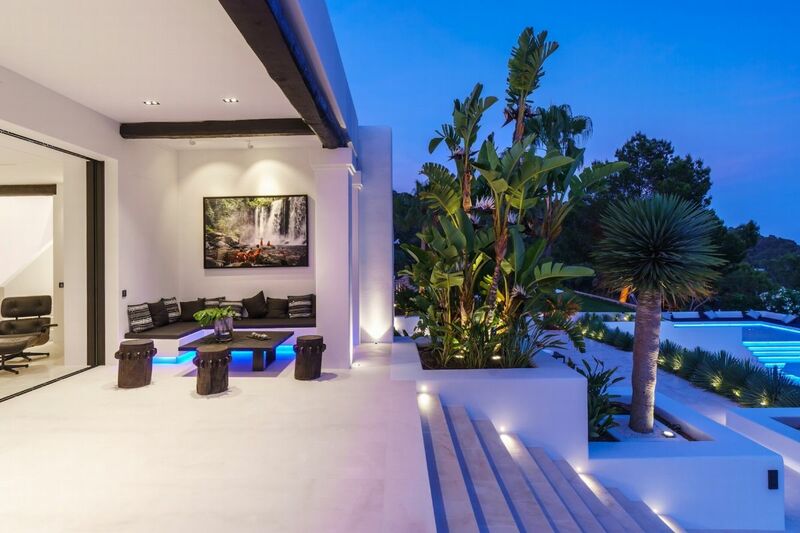 Closer to the house, the shady terrace offers more chill-out lounge seating. 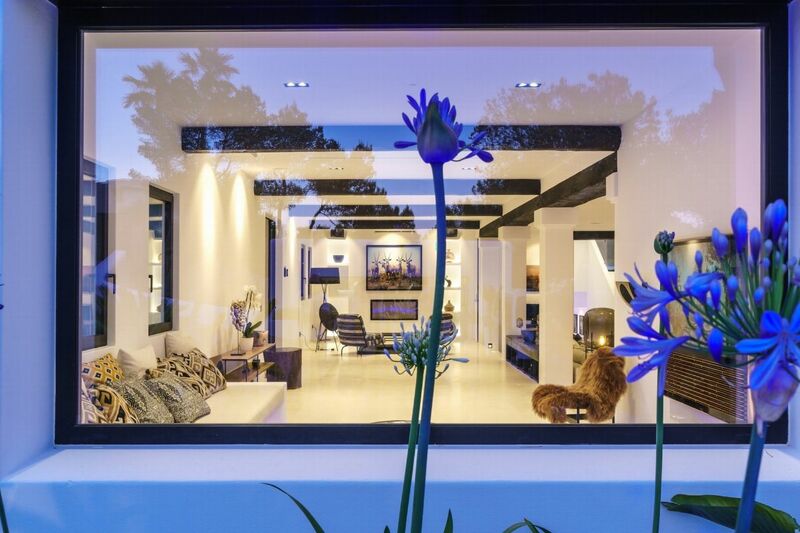 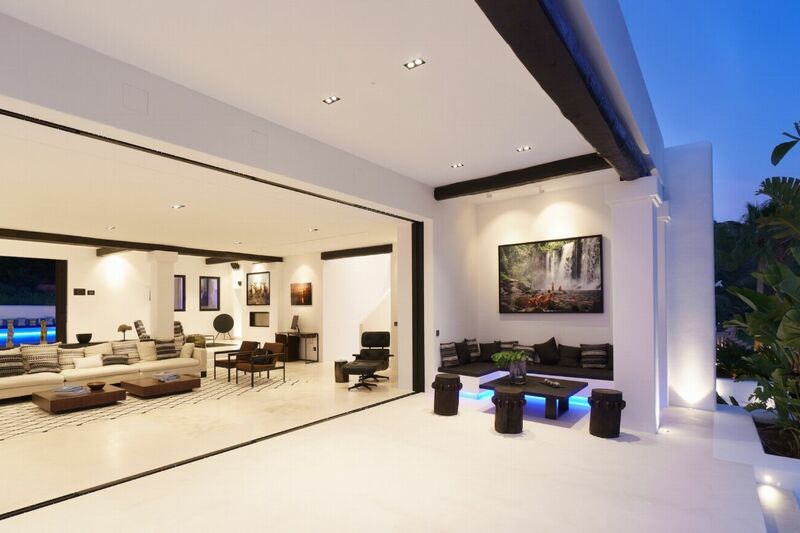 Here, wide, sliding glass doors open to seamlessly link the terrace with the stylish interior living spaces. 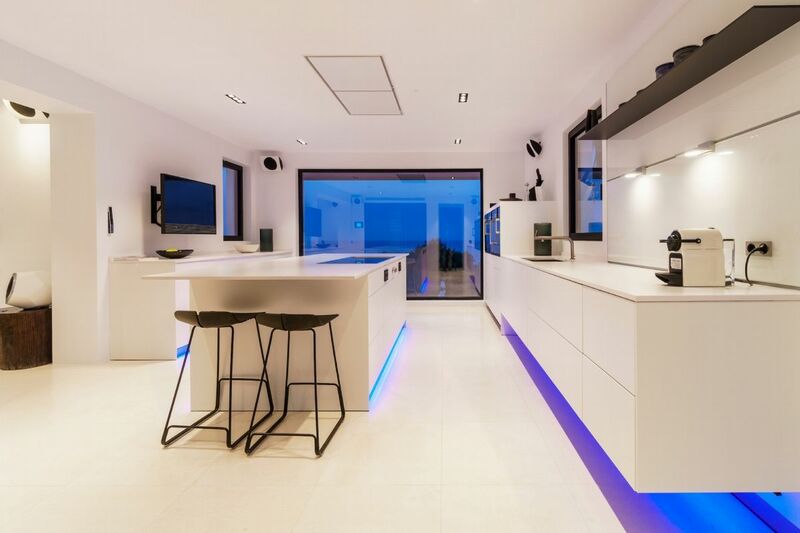 The sophisticated, cool white interiors lead through a spacious lounge, to a formal dining table, seating twelve, and large kitchen. 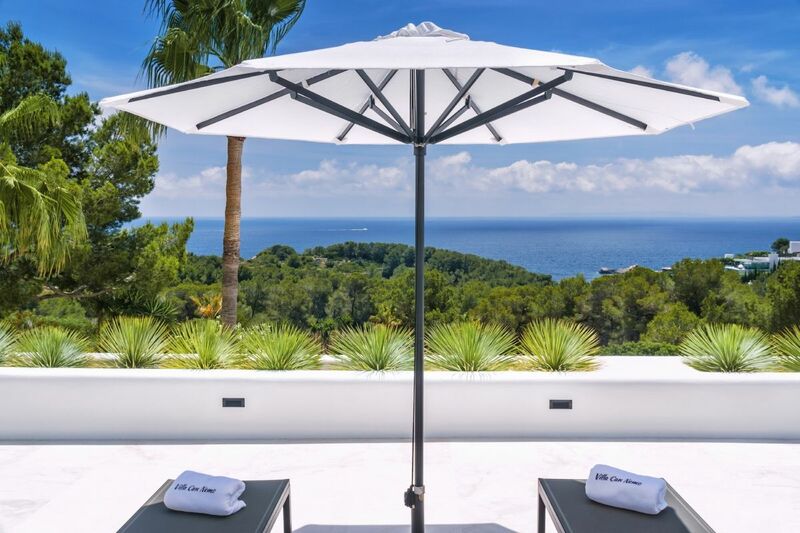 All share beautiful views across the private gardens to the sea. 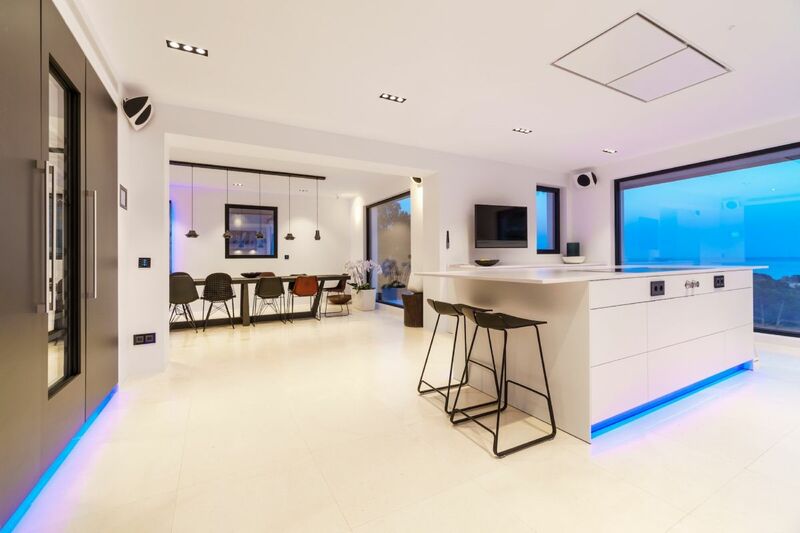 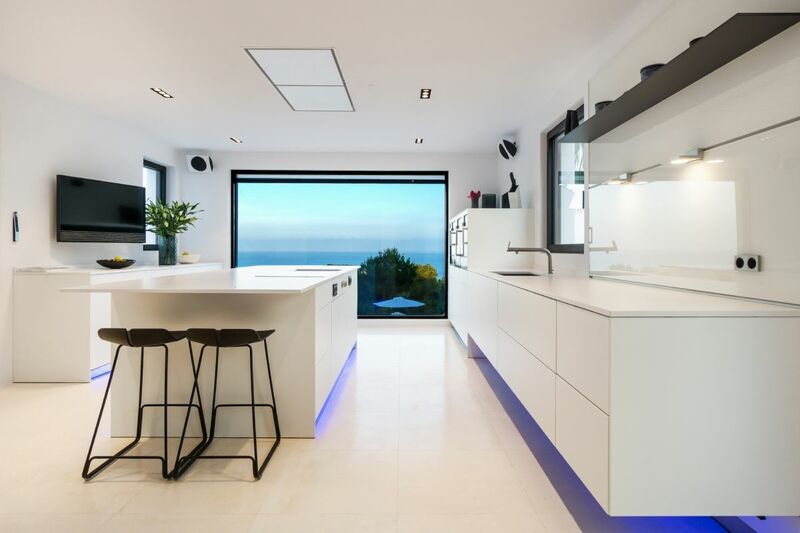 The stylish kitchen may look minimalist, but it comes fully equipped with Gaggenau appliances including teppanyaki grill, steam oven, extra-large fridges and a wine cooler. 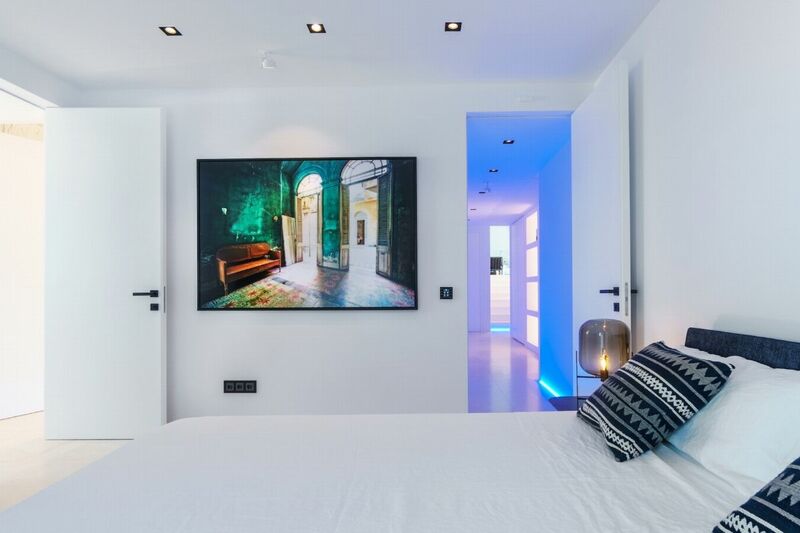 The minimalist elegance continues through the six delightful double bedrooms, softened by beautiful art and stylish monochrome soft furnishings. 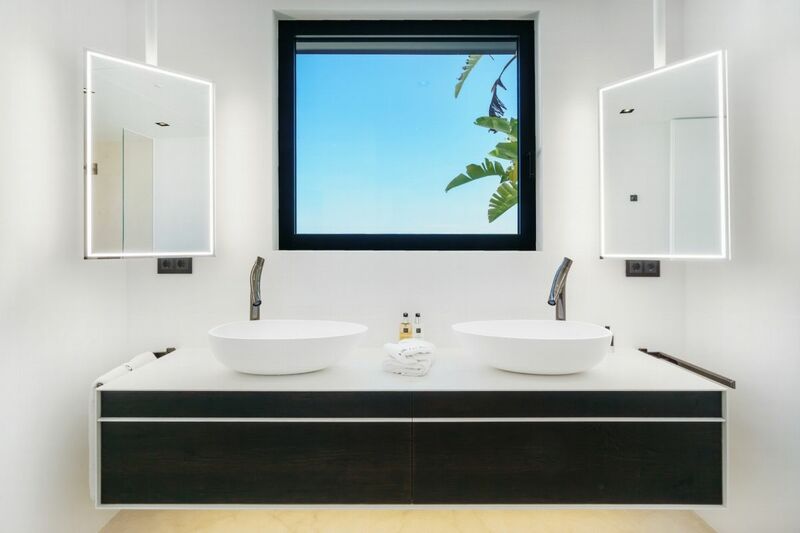 The master suite on the upper floor enjoys access to a private terrace and a freestanding bath from where you can enjoy the beautiful sea views as you soak. 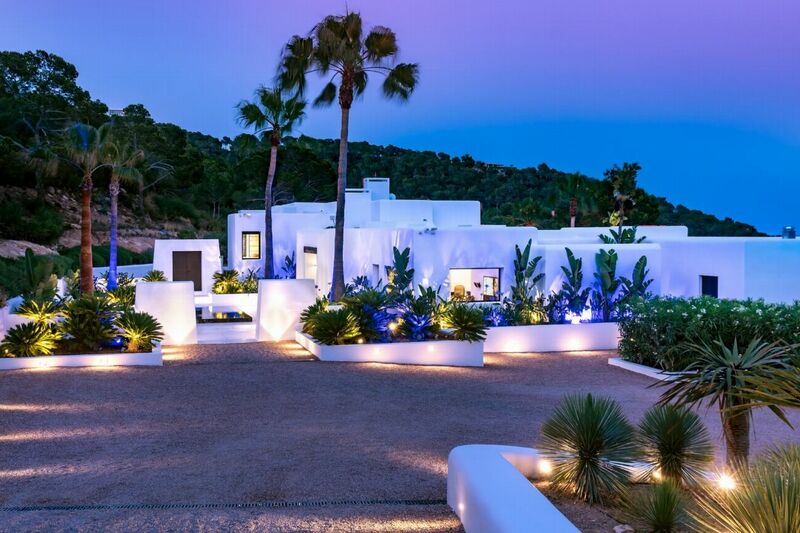 Villa Anna enjoys a stunning Cap Martinet location, delivering every luxury in sophisticated privacy to ensure a blissful Ibizan escape. 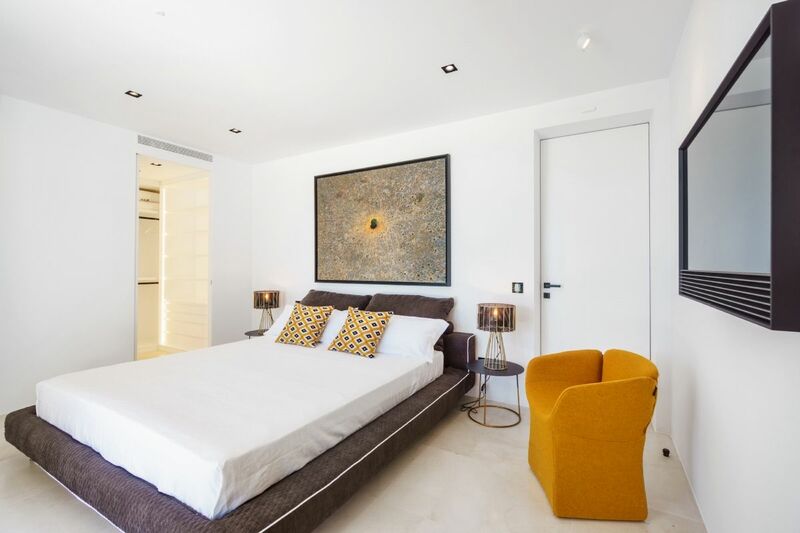 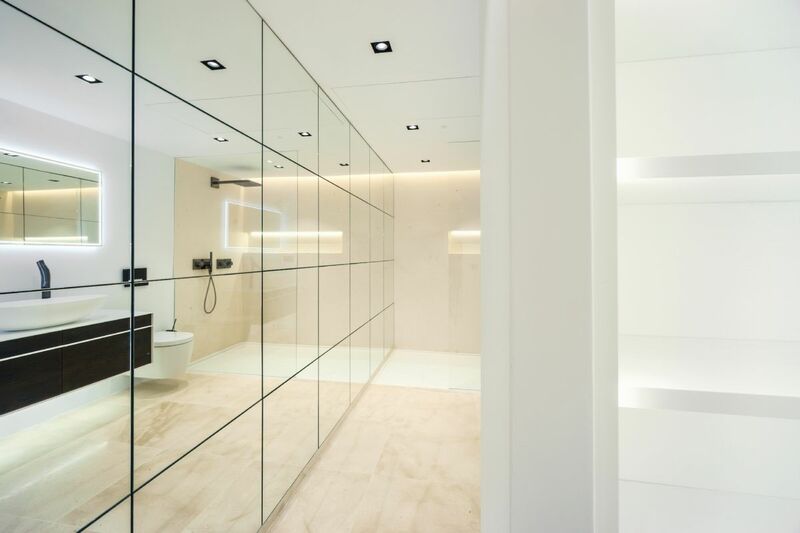 Master Bedroom with queen size bed, situated on first floor with access to private terrace and large separate dressing room, air conditioning, satellite TV and a stunning large en-suite bathroom with shower an bathtub. 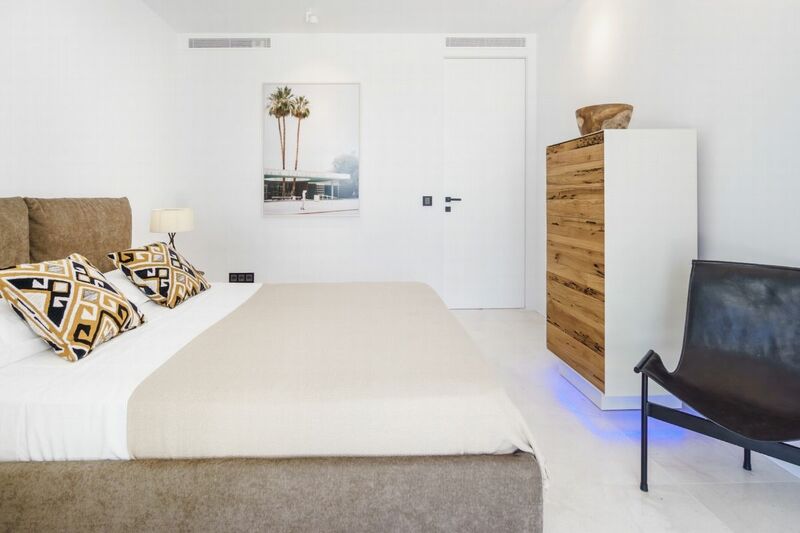 Double bed, air conditioning, ample storage space, satellite TV, access to terrace, sea view, en-suite bathroom. 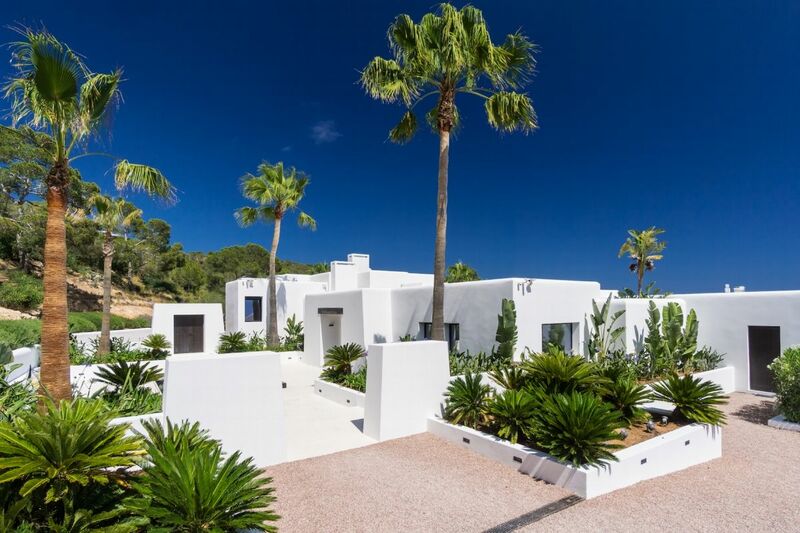 Double bed, air conditioning, ample storage space, satellite TV, access to terrace, sea view, shared bathroom with bedroom 4. 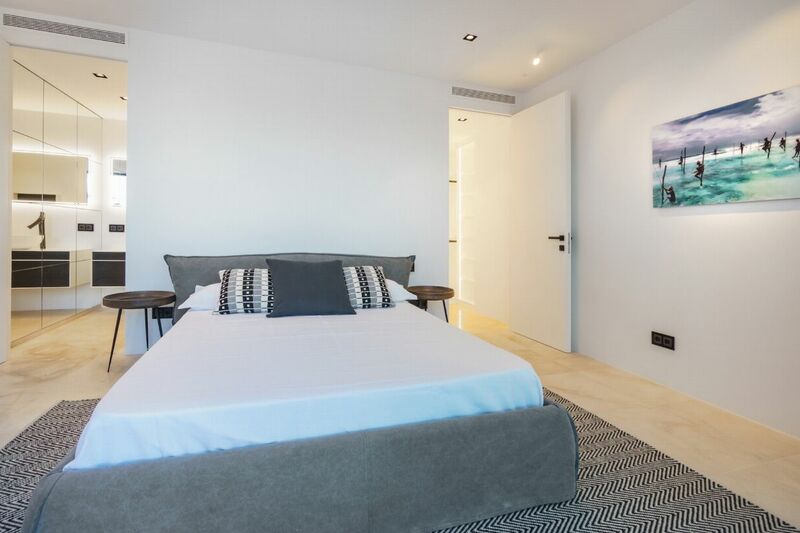 Double bed, air conditioning, ample storage space, satellite TV, access to terrace, sea view, shared bathroom with bedroom 3. 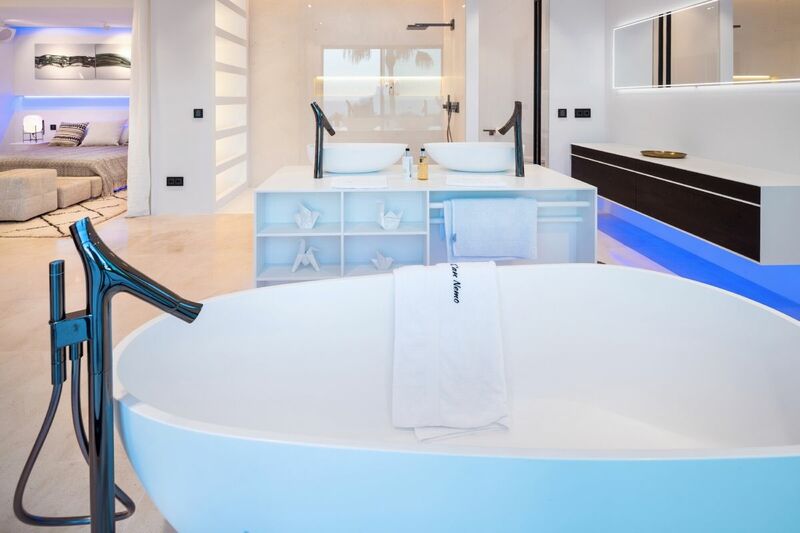 Double bed, air conditioning, ample storage space, satellite TV, access to terrace, en-suite bathroom.